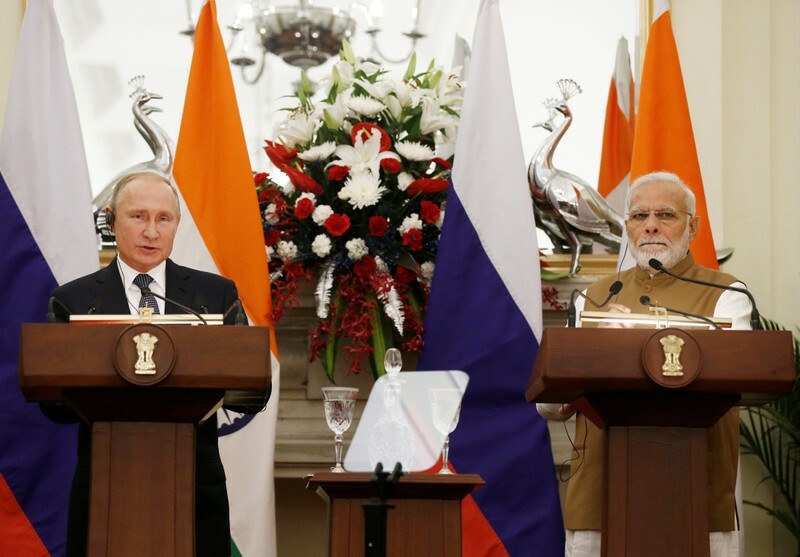 (by Vladimir Soldatkin and Sanjeev Miglani, Reuters) NEW DELHI – India agreed to a deal with Russia to buy S-400 surface to air missile systems on Friday (Oct. 5), the two sides said, as New Delhi disregarded U.S. warnings that such a purchase could trigger sanctions under U.S. law. Last month, the United States imposed sanctions on China’s military for its purchase of combat fighters as well as the S-400 missile system it bought from Russia this year. [Officials said the move was intended to send a message to other countries considering similar Russian arms deals.]. Published at Reuters Oct. 5, 2018. Reprinted here for educational purposes only. 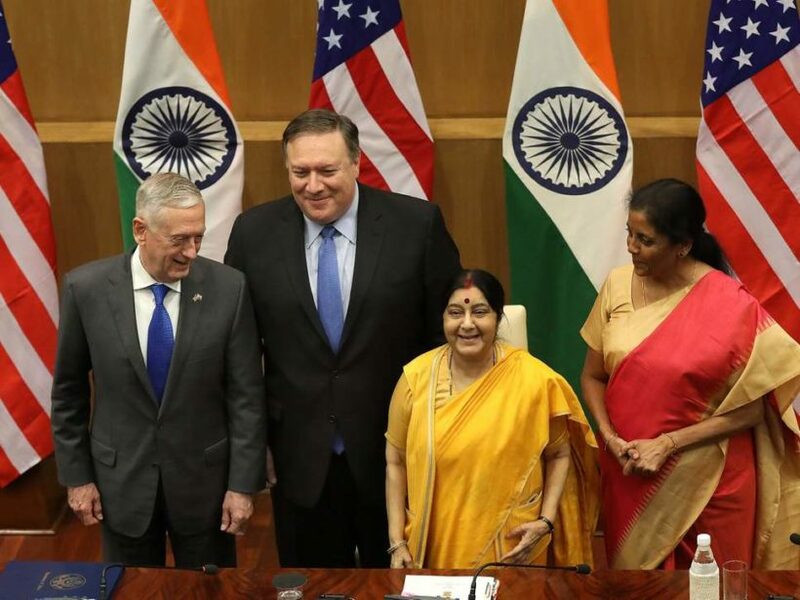 US Secretary of Defense Jim Mattis (L), US Secretary of State Mike Pompeo (2-L), Indian Foreign Minister Sushma Swaraj (2nd from R) and Indian Defense Minister Nirmala Sitharaman (R) pose for a photo after their meeting in Delhi on Sept. 6, 2018.
b) What will the Russian S-400s enable the Indian military to do? 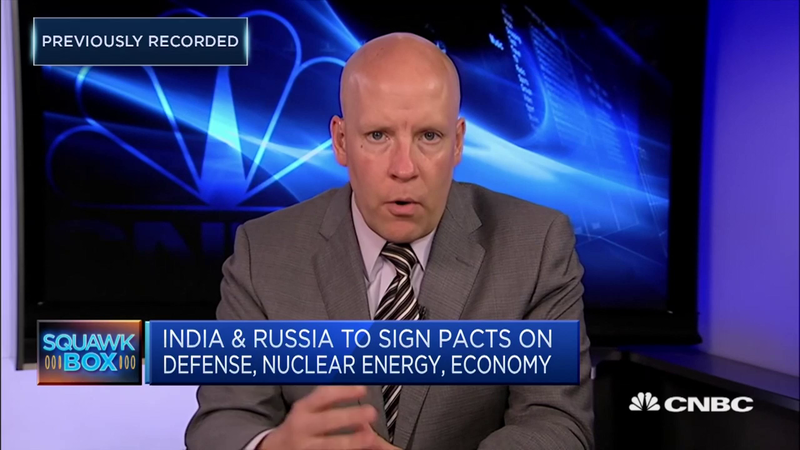 c) What penalty does India face under U.S. law for making a weapons deal with Russia? What is the name of the law? d) On what country’s military did the U.S. impose sanctions after they recently bought weapons from Russia?